More homeowners are adopting automation, according to a recent survey by CEDIA, a trade association, and HomeAdvisor, relying on professionals in a “smart home surge.” Seventy-five percent of the professionals surveyed, in fact, say they have received more smart home inquiries in recent months, and requests for maintenance once per month or more. 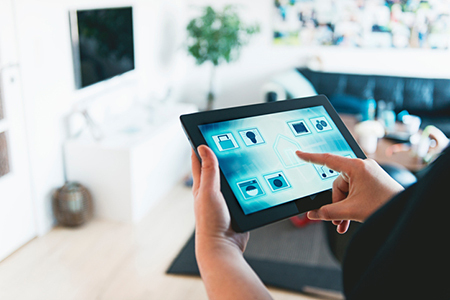 “This report shows that when it comes to smart home technologies, homeowners are migrating away from DIY to more of a ‘do it for me’ mindset,” says Dan DiClerico, smart home strategist at HomeAdvisor. Smart home devices permeate every part of the home, including doors and windows, landscaping and security, the survey shows. Most professionals report including smart home technology in a larger renovation. Over 1,400 smart home professionals were surveyed for the report.